If you are looking for a TV, look no further!! 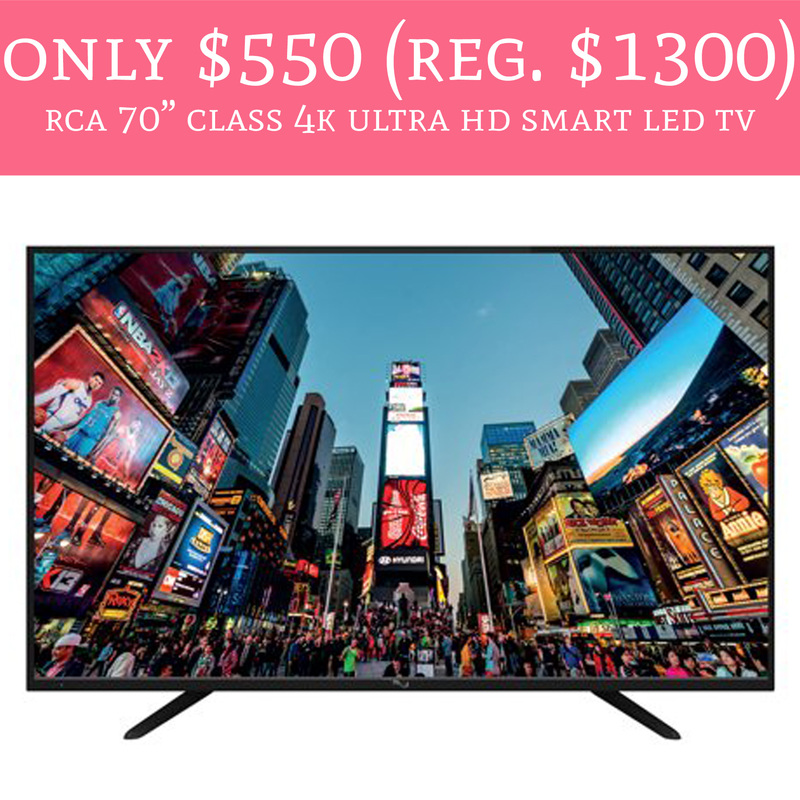 Head over to Walmart.com where you can score the RCA 70″ Class 4K Ultra HD Smart LED TV for just $550 (regular $1300). Plus, shipping is FREE! If you are looking for a new TV, you’ll want to hop on this deal! A 70 inch Smart TV at this price?! That’s lower than Black Friday!! Order yours here!